The African Wildlife series from Somalia has proven popular ever since the series began in 2004. The elephant design has been particularly sought after by collectors. Similiar to other major bullion series like the Silver Panda, the Somalian Elephant coin features a different design every year, which always seems to keep the market interested in these coins. Take advantage of the best prices online for these coins today! Contains 1 troy ounce of .9999 fine silver. This is the 15th design in the Somalia Elephant series. Individual orders come in protective coin flips. Orders of 20 come in mint sealed tubes. Orders of 500 come in mint sealed monster boxes. Produced on behalf of Somalia by the Bavarian State Mint. Carries a face value of 100 Somali Shillings, which is fully backed by the governemnt of Somalia. 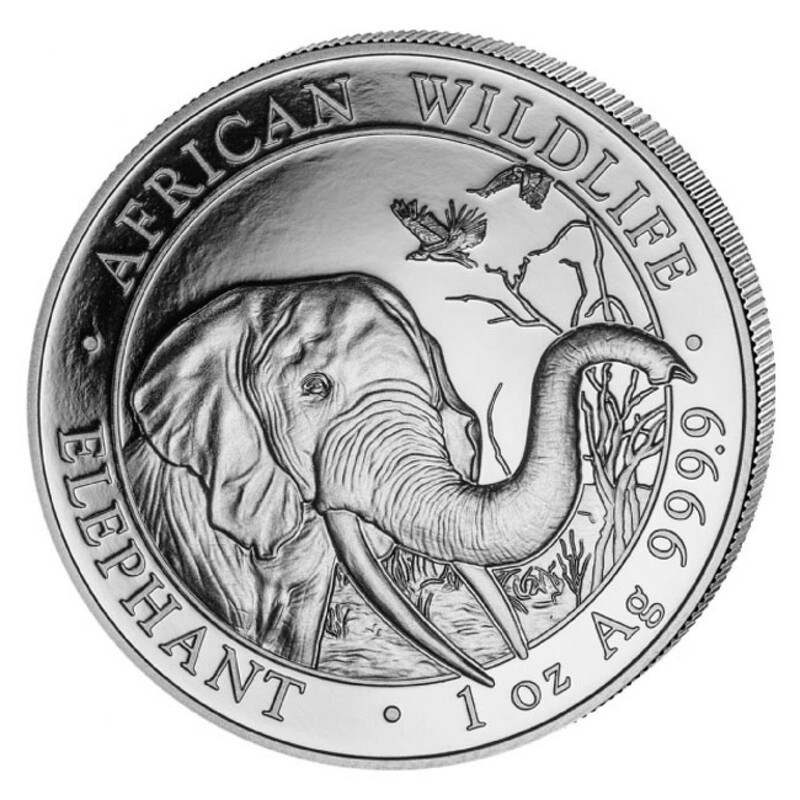 The obverse depicts the brand new 2018 Elephant design. 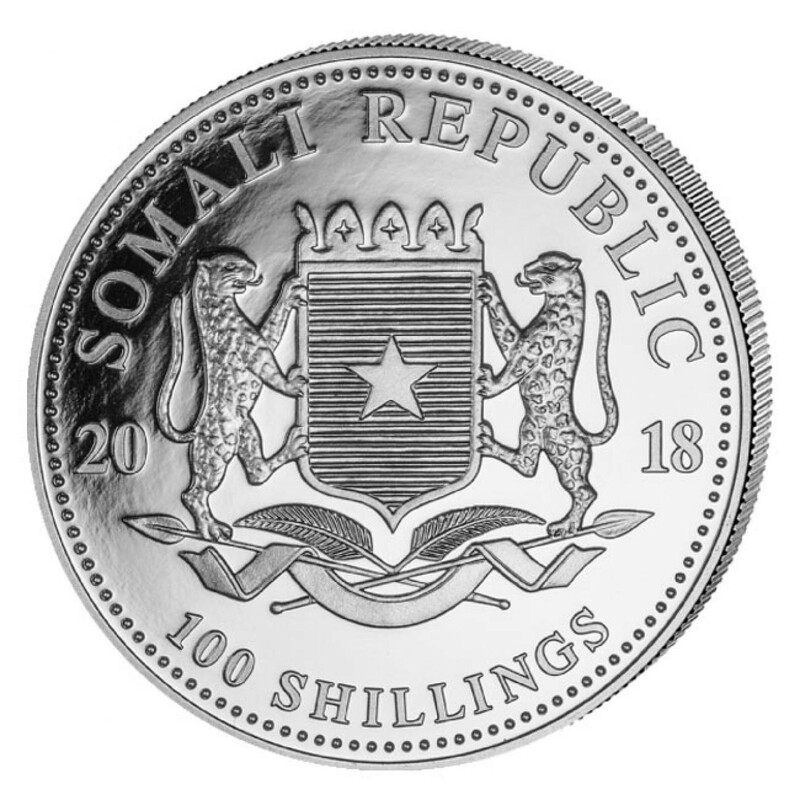 The reverse depicts the coat of arms of Somalia. Best Prices on Somalia Elephant Coins!